We are experts in finding solutions that minimize impacts to residents, businesses and the environment. Municipal pipeline construction presents significant challenges to even the simplest project. 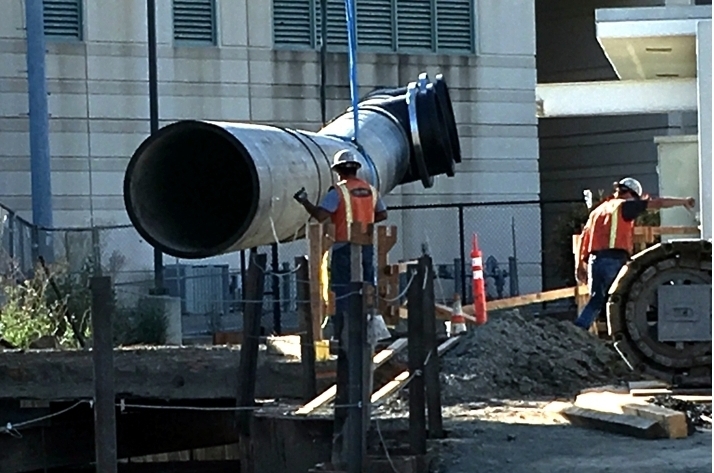 Most construction occurs within city streets involving traffic control, public outreach and proper support of excavations before a piece of pipe is ever installed. For each project, Tanner Pacific carefully considers different methods to determine the optimal method to use. Other methods such as pipe bursting, CIPP lining and slip lining also allow for new pipe material to be inserted into existing pipes providing a renewed segment of underground infrastructure.